What controller do you have? The C-pack might be a little oversized for a 29" SE5 but I think it will work. DSM2 WITH SPEKTRUM 2.4GHZ came with the Champ. Thanks, a lot of the power packs are back ordered, just found one in stock and thought to ask about it. K. That's how I started (Champ, then used the champ controller for my first couple of builds). One thing to note is that this is not a full range transmitter so when you start to use it for other planes you are still going to need to keep them reasonably close and low. The receiver you linked to is fine but its overkill. Look for DSM2 compatible receivers at LemonRX or Bangood. Or you could get the AR400 (4-channel) for $30 or the AR610 (6 channel) for $40 - both of these are backward compatible with DSM2. The 6 channel would future proof you a little for when you move up to a 6 channel (or more) radio. If you're looking to stay on a budget I'd get away from Spektrum asap. They are very expensive for the features they offer. If you don't mind paying a premium though, they work well form what I hear. An FS-i6X or a Taranis QX-7 would be a great investment if you intend to grow into the hobby. Thanks all. 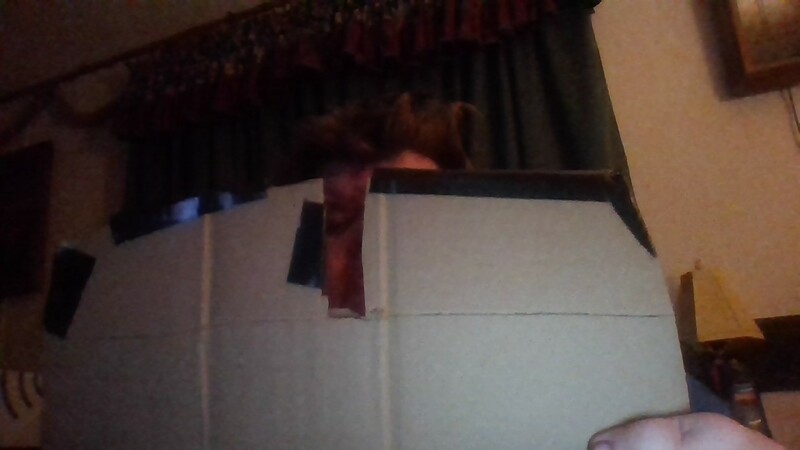 The first photo is the cardboard frame top wing. 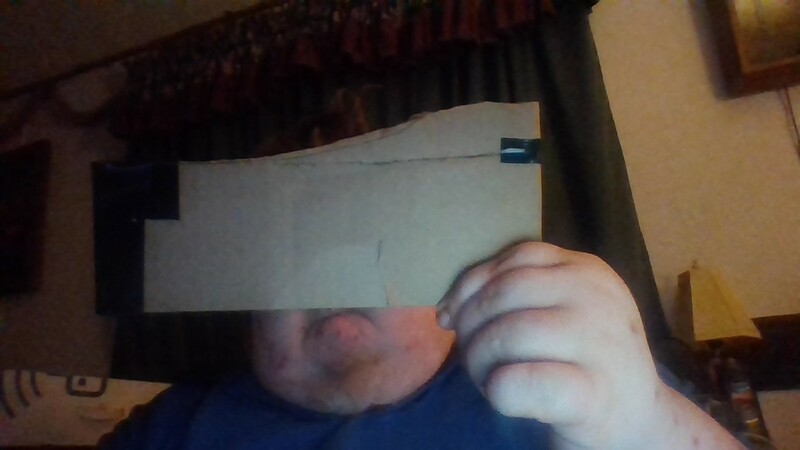 Second photo is the cardboard frame bottom wing. 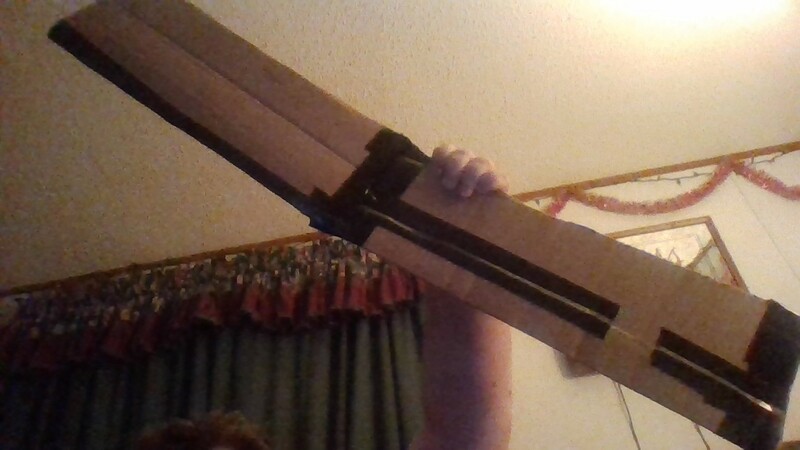 The nieuport rudder actually from some blue prints shows it on top like so and here is the tail part with elevators. I am not sure how to modify the SE5 build to put the cockpit up front behind the engine, way the SE5 handled after the build when Josh flew it was perfect. How does one fly a super nose heavy plane, got the engine, battery and cockpit up way front, that is a lot of weight. You shouldn't have much trouble balancing it because you can put the battery wherever you'd like. If it's nose-heavy move the battery towards the tail, if it's tail heavy move the battery forward. Looking at pictures of the Nieuport, if you build it scale your problems are likely to be that the airplane will fly tail heavy because of how little room there is in the nose forward of the wing. 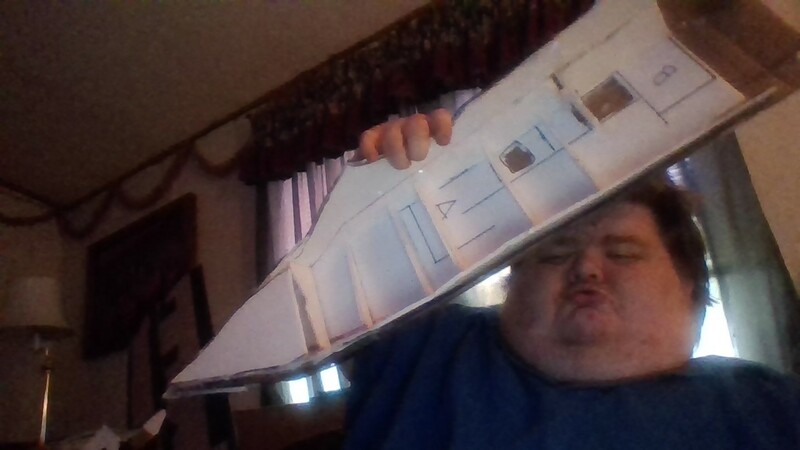 For instance, on the Fokker DR1 Josh had to put a lot of extra nose on it (it isn't very scale) and I still couldn't get it to balance on it's own, even with a large battery all the way forward. I had to add even more weight to the nose in order to get it to fly. I do not think the Nieuport will be nose-heavy, rather, I think you should try and get your battery as far forward as possible. I'm not sure what you mean about the SE5's rudder, it looks normal to me. 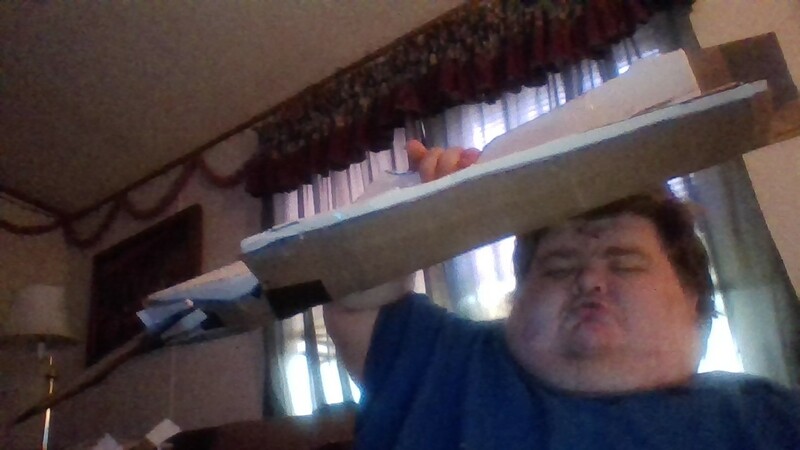 What are the dimensions of the foamboard you're Dad got? If it was Elmer's it'll be quite heavy compared to Ross. Some Walmarts don't carry Ross, but most Dollar General/Dollar Tree stores have Adam's and that works too. My first transmitter was a FlySky I10X and it is great in terms of price/functionality. If it had more mixes I may still be using it. If you're on a tight budget it's a great option as receivers are only $10-$15. I recently got a Tranis QX-7 for $100 and I find it to be a great radio. The possibilities are more abundant than my imagination. The biggest downside is the receivers are around $30, but if you try and build complex projects I don't think there's a better way to go in terms of price/performance. I would get away from Spektrum unless you need a user-friendly radio. They charge a premium compared to FrSky/Taranis and FlySky. And trust me, the sooner you switch the easier it is. 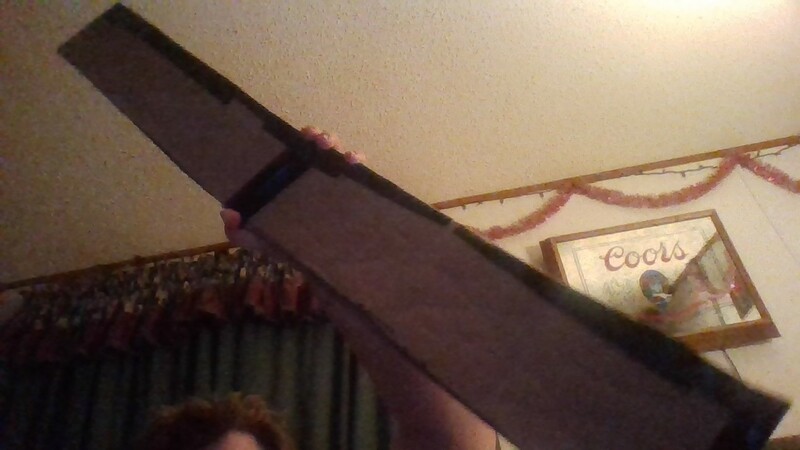 4X6 1/4 inch thick foam board, small stuff, @Chuppster I have asked him when he goes to town today for some stuff, to check dollar general, we've lost our old glue gun, but still have the glue sticks, so also asked him to get a new one. I will check the Tranis, some complaints people had on Amazon about the Flysky was that sometimes the anntena breaks or had some broken pieces by mail. Not the rudder on the SE5, but the Nieuport, some Nieuports have the rudder uptop on the tail, instead of down below like most planes. That's pretty small. I don't think it'll be very helpful for building airplanes. The stuff we use is 20" x 30". I got the bigger glue gun from Walmart, it was around $8 I think. I push this big one to it's limit, so if you're thinking of getting one of the little ones be prepared to fight it. You'll find complaints about any product. I've been using my FlySky for a year now and I can't complain given the price point. You just have to respect it and not try and make it do things it's not meant to (like stringing up the receiver by the antenna). The Taranis is pretty cool though, just prepare yourself to look up a lot of guides on how to use it before you get comfortable with it. Not the rudder on the SE5, but the Nieuport, some Nieuports have the rudder uptop on the tail, instead of down below like most planes. I could be wrong, but I think this was pretty common back in WW1. I'm pretty sure the shape is to help it not damage the tail when it's on the ground, given that it's a tail dragger. Looks like a start! Are you using packing tape? packing tape and hot glue, just like Flite Test crew. @Chuppster @DamoRC what battery and charger do I need for power pack C? 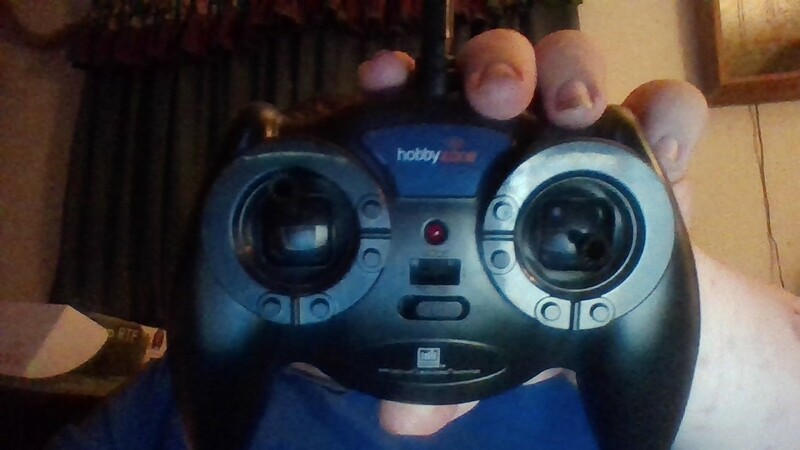 @Chuppster I just bought the 52 dollar Flysky 6 channel controller which comes with receiver. now just need battery, charger and power pack. This depends largely on your airframe. Two common battery sizes are 1300mah 3s or 2200mah 3s. For most C pack planes you'll want the 2200mah 3s battery.